If you have already made up your mind to file bankruptcy, it’s also important to do the groundwork before you go ahead with your decision. You can consult a trusted credit repair company in Texas, such as RMCN, to get detailed information and end-to-end guidance on the right course of action. To help, in the first part of this two-part series, we covered four questions to ask before filing bankruptcy, and with this post, we take the conversation further. Let’s take a look at the remaining four questions to ask when planning to file bankruptcy. 5. Do the accounts get removed immediately after bankruptcy? The answer is “No.” The accounts don’t get deleted immediately after bankruptcy. On declaring bankruptcy, the related information is added to your credit history and your creditors also update the status on each of your account indicating that they are included in bankruptcy. It may take up to 7 seven years from the original delinquency date of the accounts, which is the date the account was reported for delinquency. The public record entry of the bankruptcy filing stays for 7 years from the filing date in the case of Chapter 13 bankruptcy. On the other hand, for Chapter 7 bankruptcy`, the entry remains for 10 years from the filing date. 6. Should I File Chapter 7 or Chapter 13 bankruptcy? To answer this question, let’s delve deeper to learn about both the propositions. 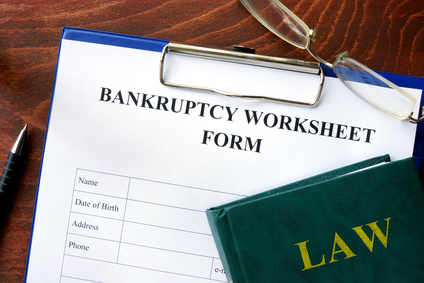 One of the most common types of bankruptcies is Chapter 7. It is also known as “straight bankruptcy” and is available to individuals, married couples, partnerships, and corporations. It is usually filed to wipe out unsecured debts. The Chapter 7 trustee sells debtor’s’ nonexempt assets and the proceedings from its liquidation towards settling their debts. have debts that are non-dischargeable in Chapter 7. Therefore, whether to opt for Chapter 7 or Chapter 13 bankruptcy largely depends on the applicant’s ability to pay back their debts, which is decided by the Bankruptcy Court. 7. Can I change from Chapter 7 to Chapter 13 or vice versa? Yes, you can. Though it is possible for people to change from Chapter 7 to 13 or the other way around in most cases, it is not for the debtors to decide. The court, based on the financial profile of applicants, decides whether they are in a position to pay back their debts, or they should do it through asset liquidation. In fact, even if you win the claim for a Chapter 13 bankruptcy, but miss a future payment, the court may change the bankruptcy to Chapter 7 considering the fact that Chapter 13 payoffs range from 3 to 5 years. 8. What is the waiting period? The waiting period for filing a Chapter 7 is 8 years from the date you last filed a Chapter 7 bankruptcy. The same is 6 years from the date you last filed for a Chapter 13 bankruptcy. The waiting period for re-filing a Chapter 13 bankruptcy is shorter than the waiting period for Chapter 7 bankruptcy refiling. The waiting period between two consecutive Chapter 13 bankruptcies is 2 years, whereas the period is 4 years for filing a Chapter 13 bankruptcy from the last filing date. People file bankruptcy when they can’t pay their outstanding bills and are about to lose their assets. Many people, however, either procrastinate or hurry into the decision, and end up hampering their credit score and financial future. Therefore, if you are facing a similar situation, it is ideal to seek professional assistance from a trusted credit repair company. If you need more information, feel free to get in touch with one of our experts for a no-obligation consultation. 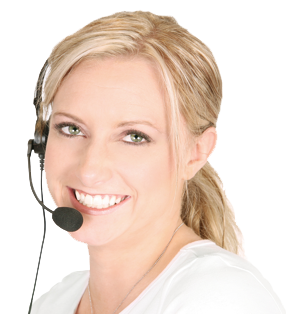 You can reach us at (888) 4-MY-REPAIR or fill out our contact form and one of our representatives will get back to you, shortly.